Three 2-hour DVDs in a box set equivalent to a years' worth of practical worship-focussed drum lessons. Songs featured on this course include Alleluia, Here I am to Worship, Beautiful One, Blessed Be Your Name, Indescribable, Your Love is Amazing, Come Now is the Time to Worship and Hosanna (Praise is Rising). 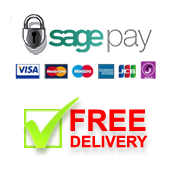 You can additionally purchase the Student Workbooks to accompany the course. Each workbook takes you through the course in a step-by-step manner encompassing all the teaching, drum clicks, quick tips and worship leader interviews.The handbook is designed to be accessible by younger students as well as adults and includes lots of graphics for visual learners. There are also questions and discussion points for students following the handbook in a group. 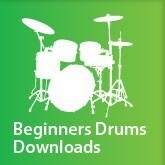 Buy all 12 Beginners Worship Drums lessons at the same time and a 25% discount will be applied at the checkout.